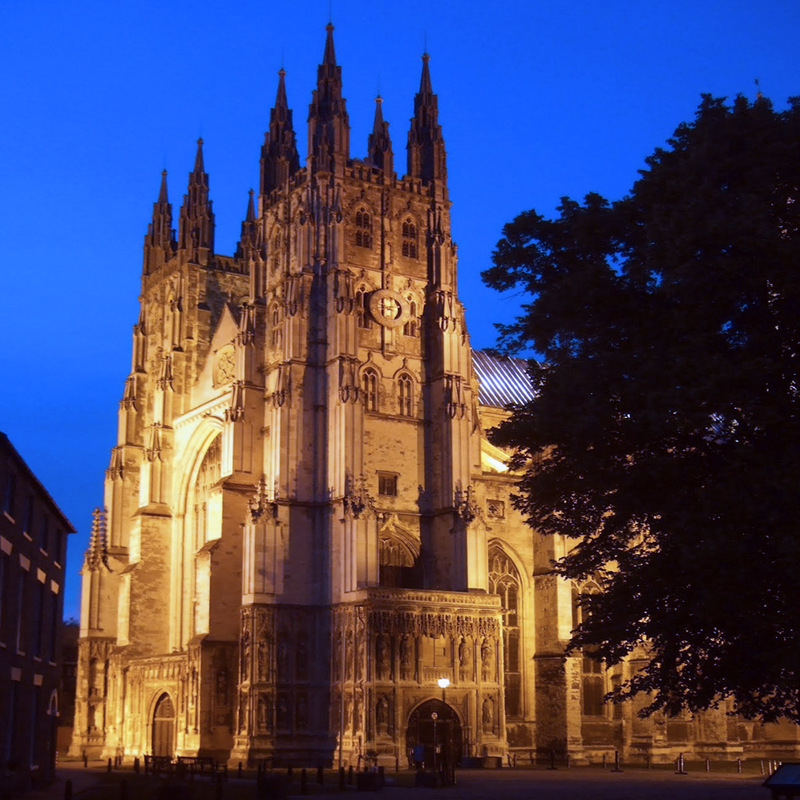 Exterior lighting of façade and towers of the English Heritage protected Canterbury Cathedral the Principal Cathedral of the Church of England and home of the Archbishop of Canterbury the Head of the English Church. 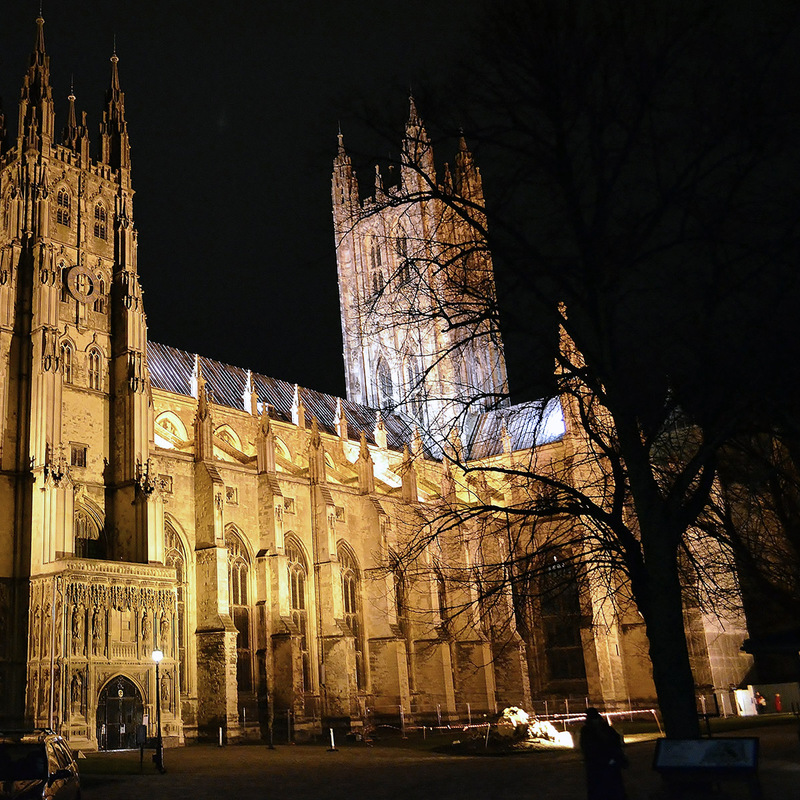 A challenging project as placement of luminaires had to be approved by the Heritage Society. 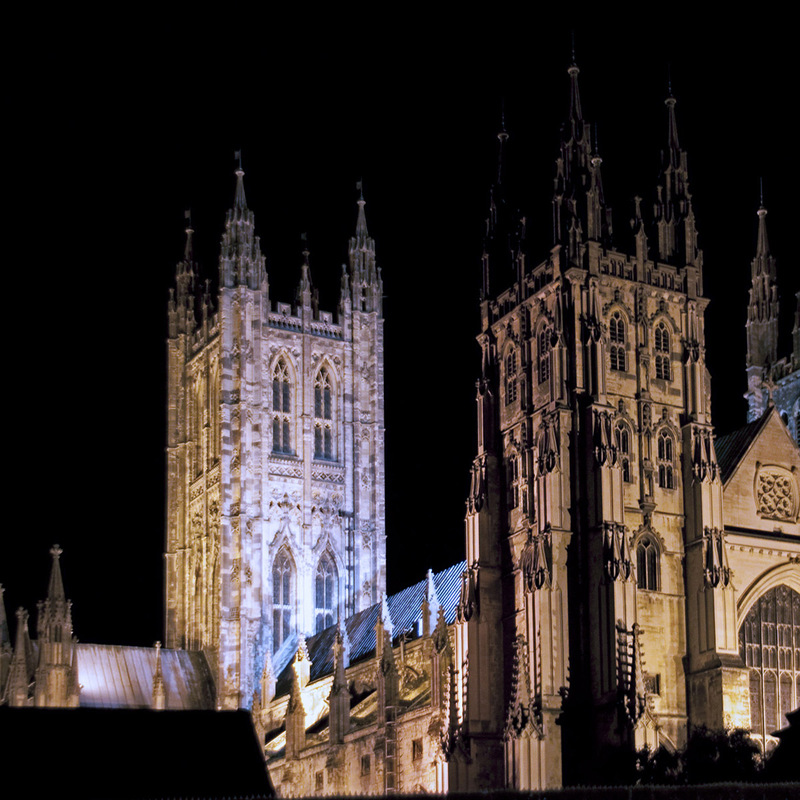 The Cathedral stands as a beacon and is viewed not only in the city but from the surrounding neighbourhoods and so control of light pollution was also a major consideration.